His latest release is drawn from all phases of his 45 year recording career. Included are tracks from his long lost Stages album, which was recorded in 1973 but whose master tapes inexplicably disappeared for nearly 20 years. Live versions, recorded at The Bitter End, of “Violets Of Dawn” and “Thirsty Boots” highlight the album. 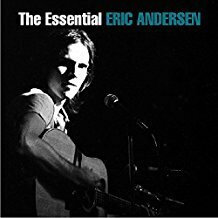 Add in “Everything Ain’t Been Said,” “Come To My Bedside, My Darlin,’” “Trouble In Paris,” “Come Runnin’ Like A Friend,” “Listen To The Rain,” ” I Shall Be Unbounded,” and “Ghosts Upon The Road” and you have a nice taste of his style and of American folk music. It may have been the Beatles era but on July 18, 1964, The Four Seasons reached the top of the charts for the fourth time. “Rag Doll” is the eternal story of the poor girl. The song originated in the mind of Bob Gaudio when he stopped at a traffic light and a little girl ran out and cleaned his window hoping for a tip. Gaudio later said she looked like a rag doll. The song entered the BILLBOARD Pop Chart June 20, 1964, and a month later it was number one, where it remained for two weeks. It remains of the classic pop songs of the 1960’s. The Four Seasons had one of the most successful six-month periods in pop history as three of their singles topped the Billboard Magazine Pop Singles chart for a total of 13 weeks. “Sherry” and “Big Girls Don’t Cry” were recorded at the same session, but “Sherry’s” five-week run as the number one song in America ended October 20, 1962. Four weeks later The Four Seasons were back on top. Success did not come quickly for the group. They formed during 1955 and used such names as the Variatones, Frankie Valley and The Travelers, The Four Lovers, Frankie Tyler, and Frankie Valle and The Romans, but a name change to The Four Seasons was the charm. They would go on to sell over 175 million records and be inducted into The Rock And Roll Hall Of Fame. In the pop world of the 1960s pre-Beatles era, if you succeeded, the rule was don’t change anything if you could help it. “Big Girls Don’t Cry” and “Sherry” were very similar. Both were catchy up-tempo tunes with tight harmonies backing Frankie Valli’s falsetto. “Big Girls Don’t Cry” had a bigger sound and the harmonies were fuller. All in all, it had a very smooth pop feel, which would be similar to their string of hits during the remainder of the decade. The Four Seasons had 40 chart singles during the 1960s with four reaching number one. They were one of the few American groups to remain commercially successful during the British Invasion years. “Big Girls Don’t Cry” is considered their biggest chart hit and on November 17, 1962, it began its five weeks on top of the American music world. Life was good for The Four Lovers during 1956. They had changed their name from The Variatones and reached the Billboard Magazine Pop Singles chart with the song, “You’re the Apple of My Eye.” This led to an appearance on The Ed Sullivan Show. Little did they realize that one more name change would be the start of their journey toward The Rock and Roll Hall of Fame and recognition as one of the best vocal groups in American music history. There were personnel changes but by 1961 Frankie Valli, Bob Gaudio, Nick Massi, and Tommy DeVito had coalesced into The Four Seasons. A year later they signed with the Vee-Jay label and were poised to produce three number one singles within the next seven months, which would spend a combined 13 weeks on top of the singles charts. Gaudio had spent some time in the group The Royal Teens for whom he co-wrote their hit, “Short Shorts.” While doodling at the piano one day he came up with a melody with simple lyrics, which he titled “Terri Baby.” Sherry Spector was the daughter of New York disc jockey Jack Spector, who was a close friend of his. He decided to name the song after her and so one of the big hits of the 1960s was ready to go. “Sherry” first entered the Billboard chart August 25, 1962, and three weeks later it was number one where it remained for the next five weeks. The Four Seasons produced just about the perfect pop song. There was a short introduction and then Frankie Valli’s falsetto kicked in and was supported by the soaring harmonies of the other group members. It was 2:32 of up-tempo pop bliss. It may have been a simple song from the pre-Beatles era but it has held up well for half a century. “Sherry” found The Four Seasons at the beginning of their commercial success. Four more number one hits and 47 chart singles would follow. Fifty-two years ago, The Four Seasons ruled the American music world for the first time. By early 1965 The Four Seasons had their formula down pat. 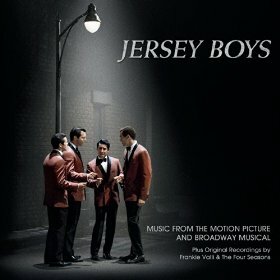 Catchy melodies with Frankie Valli’s falsetto voice layered on top of tight harmonies. “Bye Bye Baby (Baby Goodbye)” sometimes slips under the radar. It may be because it was very good smooth pop but not one of their memorable performances. It first reached the BILLBOARD MAGAZINE Pop Singles Chart January 16, 1965 and peaked at number 12. The Four Seasons were one of the few American bands to thrive during the British Invasion era of the 1960s. “Bye Bye Baby” may not have been one of their biggest hits but it was sill very good. The first phase of The Four Seasons career was coming to an end. They had produced dozens of hits for the Vee Jay and Philips Label’s. Their last gasp was “A Patch Of Blue,” which was issued in May of 1970. The music world was changing as the new decade dawned and it just made the BILLBOARD MAGAZINE Pop Singles Chart at number 94. They would not have another hit until the disco era of the mid 1970s when they would top the charts once again. 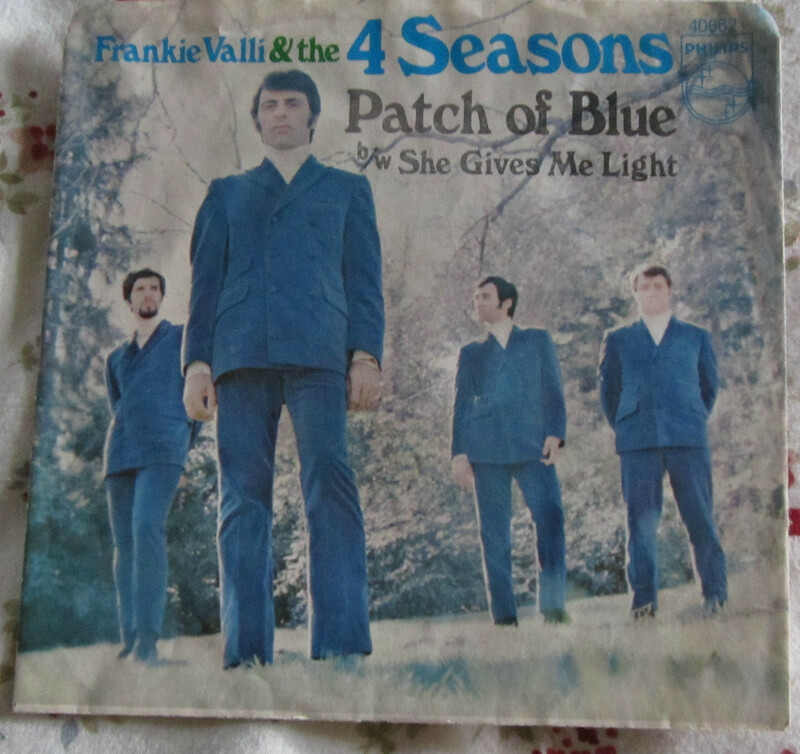 “A Patch Of Blue” remains one of the bands more obscure singles. You are currently browsing the archives for the Four Seasons Reviews category.